Dr. Monique Yuen is a licensed naturopathic physician with over 15 years of experience practicing naturopathic functional medicine. She received her doctoral degree in Naturopathic medicine in 2001 from the National University of Natural Medicine in Portland Oregon. She specializes in chronic illnesses, including inflammatory and autoimmune diseases. Her mission is help people find the root causes to their disease, empower them to make choices through education, and use natural medicine safely to begin the healing process. Dr. Yuen grew up with her own share of chronic health complaints, including allergies and eczema. She has also experienced life-threatening illnesses such as chronic renal disease and cancer. In confronting her difficult health challenges, she realized the limitations of conventional medicine. While modern pharmaceuticals help to alleviate symptoms and provide temporary relief, they rarely reverse symptoms. Her search for solutions to her own health issues and those of her patients led her to an understanding of the way natural medicines–alone or in combination with pharmaceuticals–can accomplish optimal health and healing. She has helped to educate at the 2018 Sjögren’s and Lupus Health and Wellness Conference as well as shared valuable information at support groups and will be assisting in future research projects. When she’s not helping others she spends valuable time with her husband and daughter at home. She is an awesome addition to the Sjögren’s and Lupus Foundation of Hawaii and will be able to continue to help the foundation educate in Hawaii! 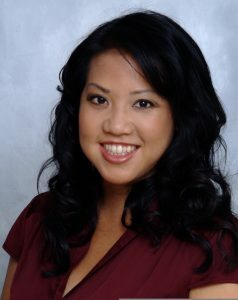 To learn more about Dr. Yuen please visit her at drmoniqueyuen.com.